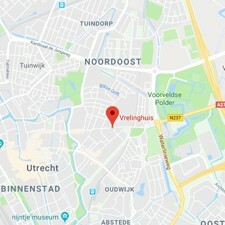 The Vrelinghuis is an abortion clinic, specialising in abortion services since 1972: abortion up to 22 weeks is possible in our clinic (BPD up to 54 mm and FL up to 36 mm). The clinic is located within the “Stadskliniek Utrecht” and collaborates with the Foundation CASU, a center for sexual health services and contraception and the department of gynaecology both also situated in the ‘Stadskliniek Utrecht”. Furthermore, the clinic also collaborates with the University Hospital Utrecht (UMCU).